Patio doors are elements of both interior and exterior design that express a homeowner’s style and personality. Patio doors embrace similar attributes of windows and entry doors by inviting sunlight to beautifully fill a room, enticing occupants to the outdoor living space and effectuating an architectural statement. 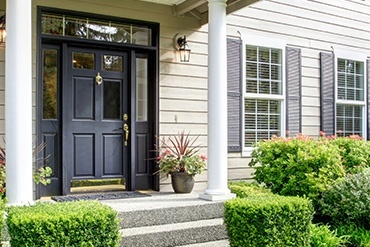 Wood patio doors are beautiful and radiant, but require regular maintenance. Wood patio doors absorb moisture and are susceptible to warping and bowing. However, scratches and scuffs can be easily repaired. Fiberglass patio doors are energy efficient, impermeable to moisture, extremely durable and virtually maintenance free. They handle extreme weather conditions with ease, and do not rot, bow, warp or rust. 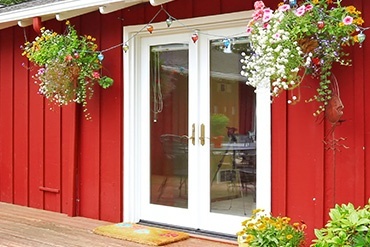 Fiberglass patio doors may take on the look of natural wood, a smooth finish or may be painted. Folding doors exude sophistication. They may fill an entire wall, dramatically altering the living space for breathtaking beauty. Swinging or sliding french doors offer a classic warm look and feel, combined with modern manufacturing techniques for durability and easy care. Weathering. The first design factor to consider is the material from which patio doors are manufactured. This is especially meaningful for homes in coastal communities that endure harsh storms, sand and salt air. Space. Space constraints for room size, ceiling height, furnishings and door installation placement must be considered. Patio doors are available in swinging style, French swinging, folding and sliding. 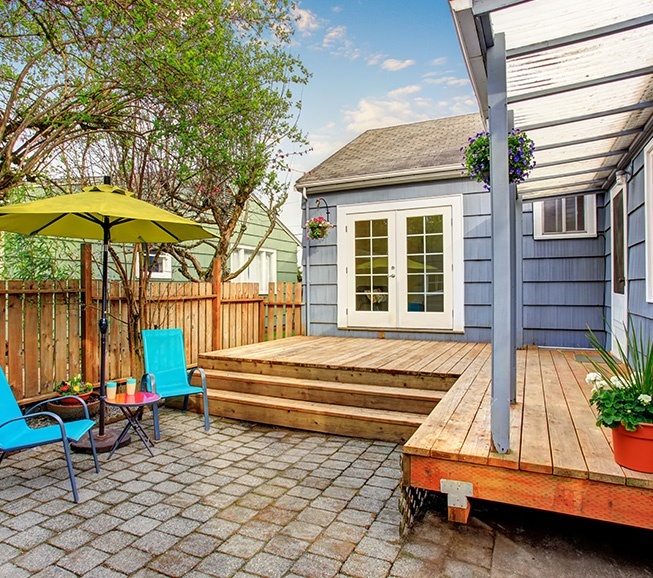 For tight spaces, such as access to a private patio extending from a bedroom, a single-swinging or sliding door may be more appropriate. If space is not an issue, then you are free to choose from a wider selection of designs and styles. Glass. The style and design of the glass is what gives patio doors their great beauty. Homeowners need to consider efficiency attributes for saving energy, and select between clear, frosted and decorative tempered glass to accentuate interior and exterior spaces. Architecture. The patio doors should compliment the home’s architecture. For instance, if your home is cedar, the patio doors should be made of wood or fiberglass with a wood finish. Or, you may wish to match the entry door, garage doors and/or roofing material. 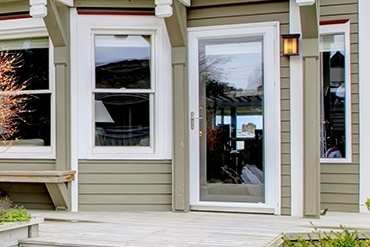 Patio doors are available in a plethora of styles, sizes, designs and customizations, providing the most discerning homeowners possibilities as limitless as the imagination. Selecting the perfect patio doors for home door installation can be challenging since their purpose and functions entail several factors of interior and exterior design, lifestyle and convenience. Exterior Medics has fashioned a list to help homeowners select or custom-design the perfect patio doors to encompass taste, lifestyle and project budget.